Solomon Asante converted Phoenix Rising FC’s first shot on target into the only goal of the match, lifting his side to a 1-0 win over the RGV FC Toros on Wednesday at the Phoenix Rising Soccer Complex in Maricopa County, Arizona. The loss drops RGV to 4-11-12 on the season, while Phoenix improves to 16-6-5 with its fourth straight shutout. Phoenix’s scoring play started on the foot of the keeper. After two long passes, Phoenix sent in a cross from the left wing, and Kevaughn Frater connected with a glancing header to direct the ball toward the center of the penalty box. Toros defender Sheldon Sullivan missed on his attempt to clear the ball, and Asante took possession on the right side of the box and scored his 13th goal of the season into the top of the net in the 61st minute. The Toros finished the match with a 6-2 advantage in shots on target, including five from forward Carlos Small. In the 50th minute, his shot from the center of the box was saved off the line by a defender. Then, in the 89th minute, Small snuck in behind the Rising defense and had his shot from the center of the box saved again, this time by the keeper. The Toros never broke through and were shut out for the ninth time this season. 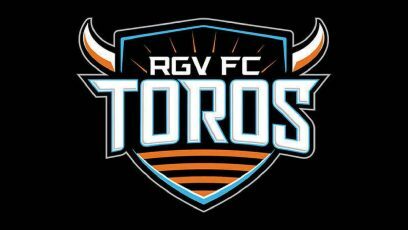 RGV FC returns to action at 7:30 p.m. Saturday, hosting Real Monarchs SLC at H-E-B Park.